General James Varnum arrived in Valley Forge with a brigade of troops from Connecticut and Rhode Island, his home state. 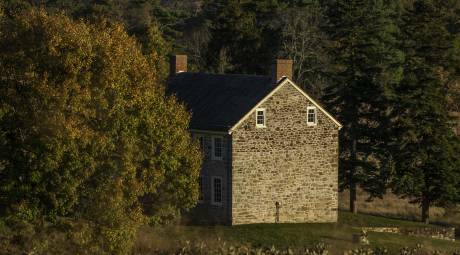 During his stay, Varnum took up quarters in a stone farmhouse owned by David Stephens. The house has been restored and furnished to the look it had during Varnum's residence. It is open seasonally for tours: on weekends during the summer months. Here, visitors can learn about the impact that the encampment had on the local civilians. Just west of Varnum&apos;s Quarters, adjacent to the parking area, is the Baron von Steuben statue. 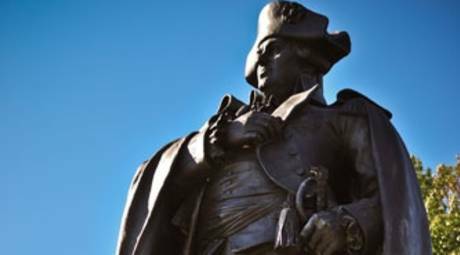 The sculpture depicts the Inspector General of the Continental Army looking out across the Grand Parade.